Upscale Condominium Project, very well managed and maintained at a very quiet and convenient location. This condo offers a lot, of course there are the stunning views! And the peace – not something many can brag about considering its proximity to the bright lights of Pattaya. What about the security? Excellent! Or perhaps the facilities? Tennis courts, swimming pools, squash courts, room service, restaurant, ample parking….! This apartment is located on the 15th floor with those unrivaled views I just mentioned, looking out over the water to Koh Larn. The balcony is huge and very private. The living space is a great size, with good use of mirrors giving plenty of light also. The floors are parquet, which is a standard, and reconfirms that you are in Royal Cliff! There are 3 good sized bedrooms and bathrooms, a European kitchen, and plenty of storage. Royal Cliff is as prestigious as it sounds. Adjacent to the Sheraton Hotel, Pattaya Exhibition and Convention Hall, there are no noisy neighbors. 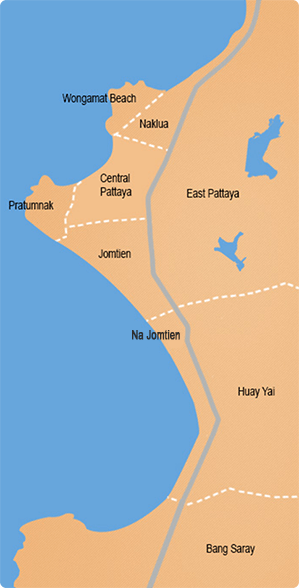 The road either takes you around the headland to Pattaya, or up to the Pratumnak Big Buddha view point. Seldom do we like saying that this must be seen to be appreciated. But here it is true! Available For Sale , registered in Thai name with tax & transfers being split 50/50.